Several times each year I get asked about drywall cracks in ceilings or walls. Quiet often my clients are relieved to learn that the small cracks usually found around window or door jambs are from the house settling a bit and not a cause for alarm. Other times the news is not so good. Drywall cracks wider than an eighth of an inch, or that get continuously worse over time may be a symptom of a much greater problem. Drywall cracks on ceilings or walls are caused by movement of the drywall or underlying framing. Listed below, in order of increasing severity, are several possible reasons for this movement. Drywall that experiences extreme variations in temperature or humidity may expand and contract enough to crack. This is usually the result of an area not being heated or cooled or in a bathroom that is improperly vented. Water that may leak into a ceiling cavity will collect in the lowest areas of the ceiling. This is usually in the paper taped seams where drywall panels meet.. Once the seams are saturated it will cause the tape joints to fail. The resultant drywall cracks will usually be accompanied by stains. All homes settle over time as weight is more equally distributed onto the framing and foundation. It is not uncommon for a new home to settle enough to cause a few drywall cracks. Sometimes the framing, and floor or wall sheeting, of homes are subjected to rain, snow or ice during the framing process, resulting in excessive swelling of these components. After the building is completed and the home dries out completely, the settling and cracking of drywall may be more prevalent than usual. Cracks caused by settling usually occur in the first year or two after a home is built. Occasionally a home is improperly designed or built so that foundation girders or floor joists span too great a distance. This can cause the member(s) to sag over longer periods of time, eventually allowing floors and wall to become unlevel and causing drywall cracks to appear. Structural damage caused by termites or decay inevitably lead to settling. 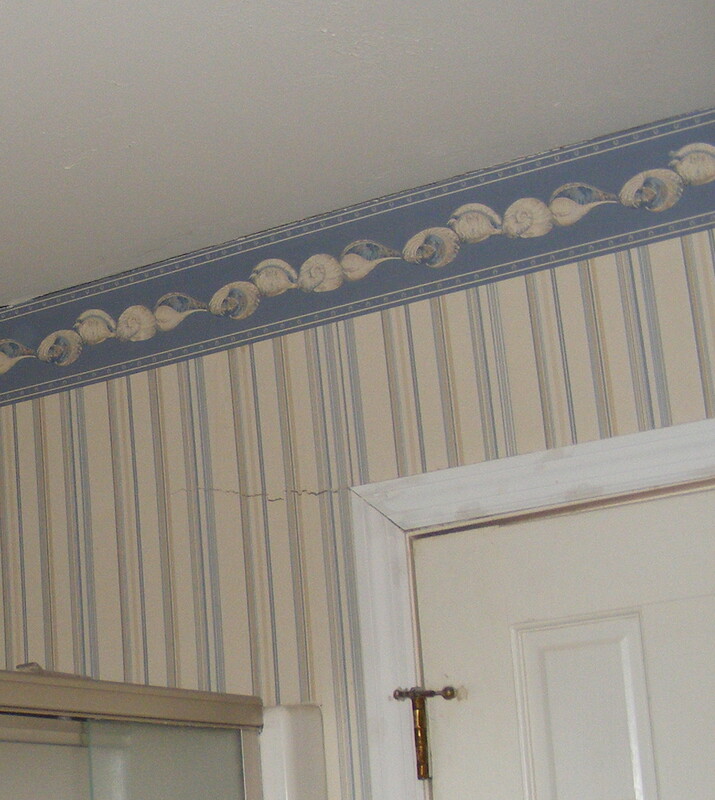 The resultant movement and cracking of drywall is often the first indication of the problem a home owner notices. Termites can do tremendous damage to a home over time. Left unchecked they will degrade the structure of a home enough to cause substantial settling. Decaying framing may be the result of a leaking supply or drain line; from a tub, shower, toilet, sink, dishwasher or washing machine. While rare, water lines to refrigerator ice makers also occasionally leak enough to damage flooring or framing. Persistently high moisture levels in the crawl space may result in mold or dry-rot. This type of decay can take many years to degrade the framing enough to permit settling, but may require extensive repairs to bring the structure back to acceptable condition. Soil erosion under or around the foundation or improper drainage away from the foundation may result in settling. Foundation settling is often a precursor to substantial movement or shifting of walls or floors. Even minor movements of the foundation usually result in cracks forming in exterior brick or stone veneer or movement, separation or bowing of other types of siding. Drywall cracks are also common in the area where foundation settling has occurred. Drywall cracks are seldom a definitive indicator of any particular problem, but instead should be viewed as a symptom of one of the conditions described above. When drywall cracks appear it is appropriate to ascertain, in a timely manner, whether maintenance on your home is needed. This entry was posted in Interior Maintenance and tagged drywall cracks, repairing drywall cracks, what causes drywall cracks. Bookmark the permalink.